I have no problems accessing PDF files, via drop box, on the Onyx note. 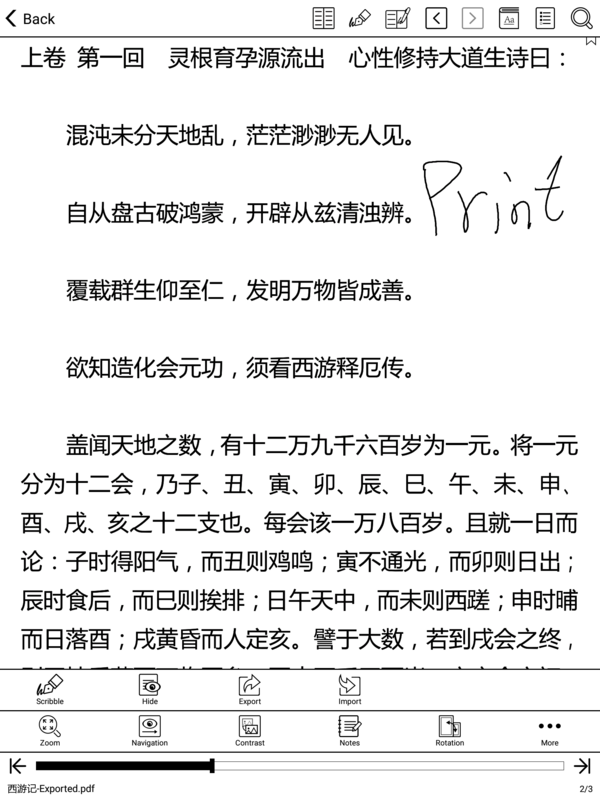 I am able to use the scribbler function to make notes on these PDF documents. However, I am unable to export the PDF file with my new annotations/notes back to the computer. There is an export function and I am able to add the newly modified document to dropbox - but when I open the document on my computer - none of the annotations/notes I have made on the boox appear on the computer! Anyone have any tips/suggestions? Would love some help!! This is an annoying problem. Annotations are not stored on the same file and at the same location. So they cannot be accessed from a cloud drive like drop box. I really hope Onyx resolves this issue. As an alternative I use xodo pdf to read pdfs and annotate. Xodof pdf save to the original location but the big downside is the pen has a considerable lag ( as with other 3rd part apps like onenote). Hope Onyx resolves both these issues. I agree. 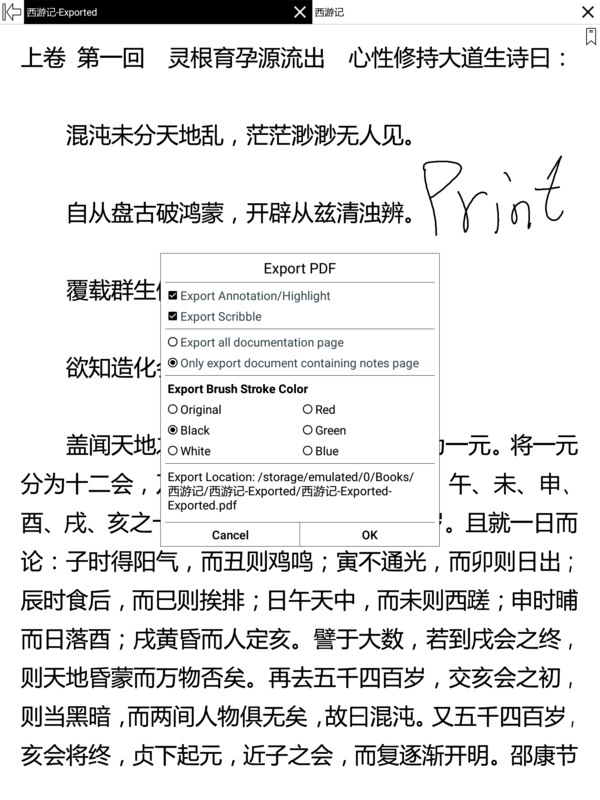 The PDF should save with annotations, overwriting the original file. This seems like a simple function to implement that should come standard. If it’s hard to overwrite the original file for some reason, then there should be an option to export the entire file with annotations. Right now, the export function only exports scattered pages with notes. Just add an option to export all pages. That would be an easy short-term fix, even if the long-term fix is harder. You could export the PDF format notes and you could choose to export all pages or export the documents containing notes pages. Overwriting will be available in the next firmware update around May according to our relative colleagues. Thanks for the response! How do I access that “Export PDF” box that your screen shows? This is great news! Cant wait for the next firmware update. Overwiriting pdfs solves a big problem. Dear, please click the Notes and then click the Export button.